Last weekend’s much-hyped ARRC-ASBK double bill at The Bend Motorsport Park was a resounding success by the measures ultimately that matter: numbers of spectators, numbers of TV viewers and the quality of the racing show, which makes them likely to tell their friends and to turn up or tune in next time. All of that, of course, is good for sponsors. It was a fantastic job all round, especially when you take account of the multi-layered challenges that needed to be overcome in order to make it happen. Start with a few of the ‘first times’ and you will get the idea. The first time ARRC has been to Australia. 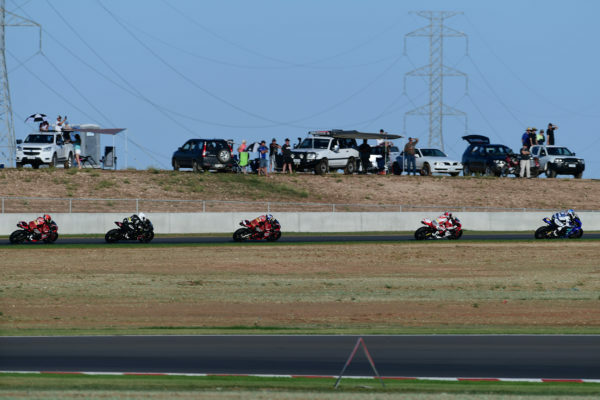 The first time The Bend Motorsport Park has staged an international motorcycle race event. The first time that FIM’s continental unions of Asia and Oceana have needed to collaborate. This is not a management case study, but take a moment to consider logistics, differences in working practices and regulations between ARRC and ASBK. Both parties had to learn to work with each other and with a brand new race control operation – and stream the whole thing live to millions of viewers in two distinct audiences. Then there are licencing and insurance issues for FIM Asia and Oceana and two completely different sets of stewards. The processes and systems issues are mind-boggling, and that is before you blend in cultural differences and egos. ARRC has spent more than a decade looking for the right moment to start racing in Australia. In many ways it is a natural progression beyond the recognized Asia Pacific region, although the trigger to do it in 2018 had much to do with a convergence of technical regulations with ASBK. 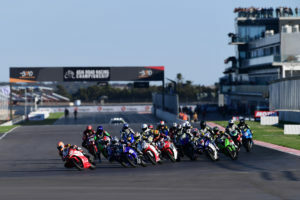 The Asian series will bring in 1000cc Superbikes to replace 600s as its premier class in 2019 under broadly similar regulations to those of ASBK. Meanwhile, ASBK is once again flying high after a difficult period. ASBK Operations Manager, Simon Maas, explained, “ASBK was in the doldrums a few years ago, but is now getting to where it should be. Big names in Superbikes, like Troy Bayliss, Wayne Maxwell, Troy Herfoss and Daniel Falzon help to pull in big crowds and more TV viewers, who also get to see fantastic racing among the new generations in the 600 and 300 classes. Motorcycling Australia President and former GP500 and World Superbike star, Peter Goddard added, “What a great facility we have at The Bend. It was good to see the overall level of ARRC: it is very professional and there are some good ideas there for our guys. It was good to see the two series together at a brand new track that seems to be really well designed. There are lots of options, but it’s very much a rider’s track and not just a car track, as you often see with new circuits. The visitors from Asia, despite several heavy crashes, enjoyed the challenges presented by the curves, crests and contours of the 4.95km version of the circuit used for the weekend. Overwhelmingly, they were impressed by the facility, the hospitality and helpfulness of the staff and by the size and scale of the ASBK series. With most coming to Australia for the first time, the vast land expanses, especially when illuminated by the morning and evening light, left them in awe and sharing thousands of photos on social media. The Australian contingent got to see first-hand the professionalism of the ARRC paddock, the extensive factory support that goes along with it and the famed speed and commitment of its riders. As expected, it was the Underbone 150s that drew the most attention, partly because they had never been seen before in Australia, but also because of the standard of preparation and competition. There was plenty of buzz on Sunday evening about doing it all again in 2019. Looking to the future, increasing numbers of world class riders coming through well structured development programmes in South East Asia and Australia bode well for both ARRC and ASBK. There simply are not enough places in MotoGP and World Superbike for growing numbers of elite riders from the region, which means that ARRC, as a continental series and ASBK, now as a major national championship, can fill in the gaps. There has long been collaboration between ARRC and All Japan and ASBK now has the chance to join in. How about Azlan Shah and Yuki Ito versus Troy Bayliss and Wayne Maxwell? From a challenging new track, ARRC travels next to an iconic old circuit for Round 3 at Suzuka over 1-3 June, while ASBK also has a long journey north for Round 4 at Darwin from 28 June to 1 July.